Hungry and haggard from air travel, we stumbled into Charters about an hour after they had opened for dinner. 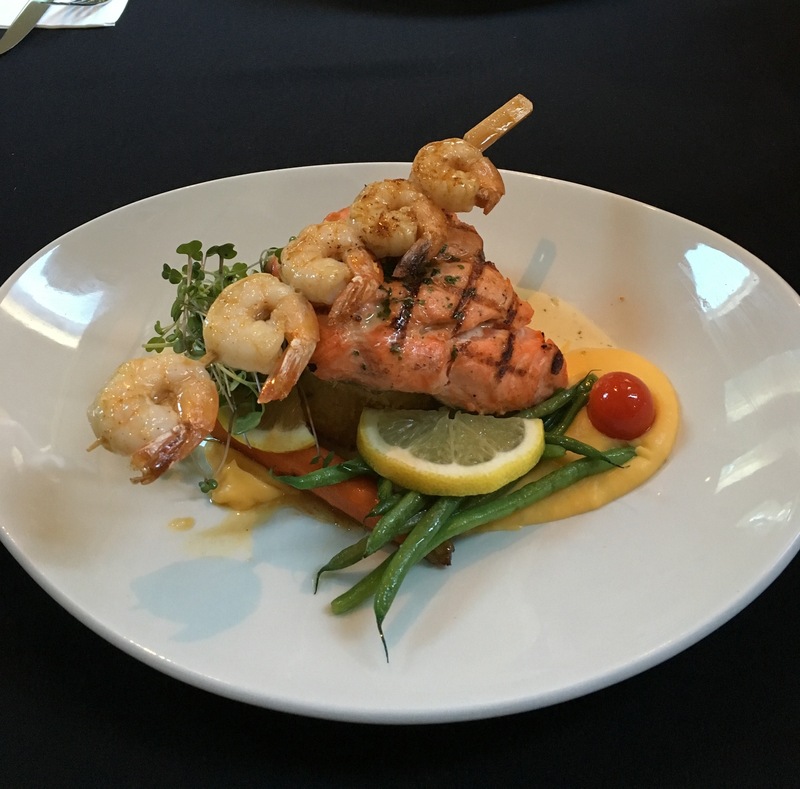 The restaurant is located on the ground floor of a large house overlooking the harbour in Masset, just a quick two-minute walk from Copper Beech House. 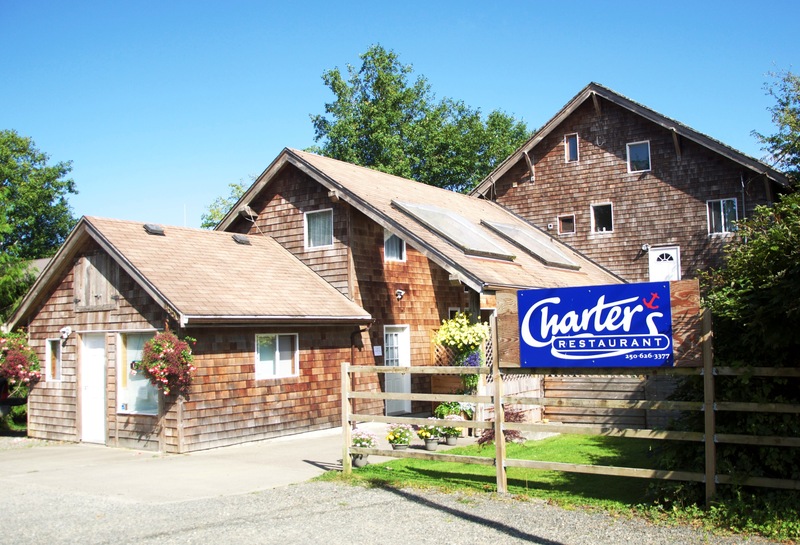 We ate at Charters three times during our week in Haida Gwaii. Truthfully, we could have eaten there every single night – every dish we tried was delicious and very consistent in quality. If there was one disappointment, it was that the menu didn’t have a lot of seafood options: halibut chowder, crab cakes (replaced by tuna tataki on our last visit) and seafood fettuccine on the regular menu; a Coho salmon filet with a skewer of prawns was included in their handful of seasonal offerings. The rest of the menu was comprised of items that would be at home in any Alberta restaurant: Caesar salad, wild boar tenderloin, Brome Lake duck breast, lamb rack, back ribs, chicken cordon bleu, bison burger. Make no mistake: everything was delicious, and we tried well over half the menu. But the selection also seemed odd. We were within eyesight of the ocean; I was expecting a deluge of seafood options. So on the last night we dined there, I pulled Kaylene aside for a few minutes to have a quick chat about her restaurant. Charters’ prices are indeed extremely reasonable, at least from the perspective of an Edmontonian – when we visited, the most expensive item on the menu was only $32 (wild boar tenderloin). It’s even more remarkable since they are the only fine dining place in town; they could easily list their food for a lot more and the tourists would pay it. But it’s not just about the tourists. 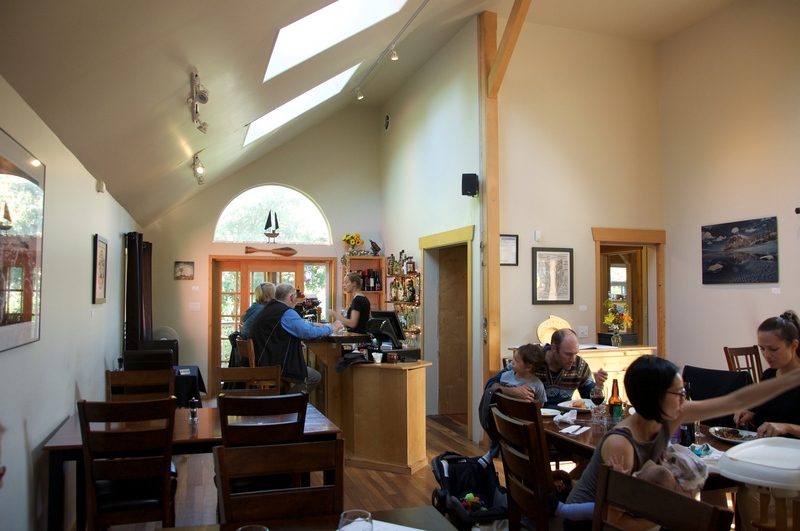 Sure, visitors make up the bulk of the people who dine there in the summer, but throughout the rest of the season, Charters fills a valuable niche in the local community. Kaylene stresses that she and her partner Mike Picher – who co-owns the restaurant with her and runs the kitchen – are there because of that community. That program isn’t running anymore, unfortunately. Kaylene notes that it’s likely due to both funding and lack of a Red Seal chef who could take on students. Once she joined Mike in Haida Gwaii and they decided to open a restaurant, he had to step back from the program – owning and running a restaurant being more than enough to occupy all his time. “We found there was a definite need for a date place and an anniversary place, somewhere to go for your birthday, and that’s exactly the style that we come from,” Kaylene says, noting that she and Mike have been working in kitchens since they were 15. There’s a huge opportunity for restaurants in Masset. Tourists are beginning to discover the area in increasing numbers, and the locals would welcome more dining options. Kaylene notes that she and many of the other locals would love to see a late-night wine and tapas bar open up, in particular. You’d have to embrace the laid-back island lifestyle, certainly – but you’d also be able to enjoy a significantly reduced cost of living. Food availability is another issue altogether. There is a small seafood processing plant in Masset, Haida Wild. While a report from a couple years ago stated that they were expanding their production, it’s still pretty niche and mainly caters to fishing charters. The seafood that Charters uses, meanwhile, mostly comes from off island. Canneries and seafood processing plants once formed a major chunk of Haida Gwaii’s economy. During the late 1800s and well into the 1900s, canneries flourished along the remote northern BC coast. They’ve all but completely disappeared. 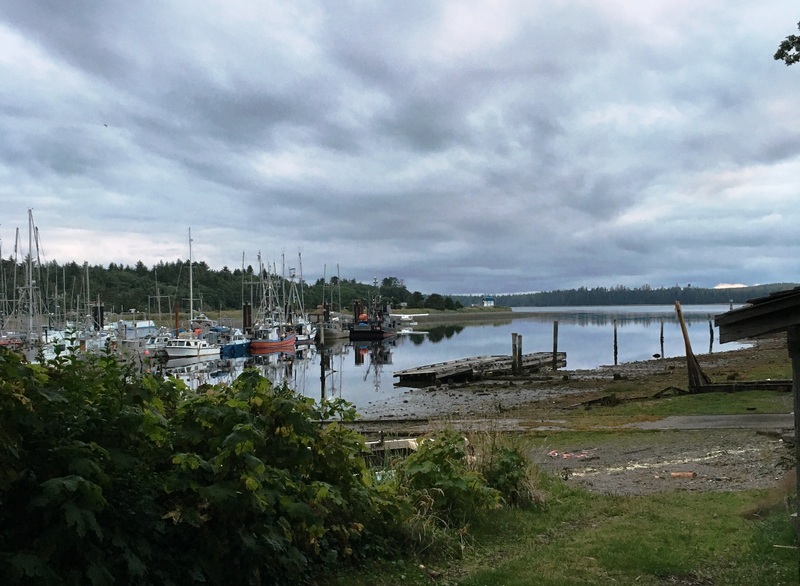 The remaining commercial fishing industry in Masset is limited to fishing charters, the small amount processed by Haida Wild, and whatever the local Haida people catch and process for their own use. Various reports have cropped up promising that Haida Gwaii is in the middle of an economic renaissance, the hopes of which are placed almost wholly on the tourism sector. Such a seasonal and fickle industry can never really sustain a permanent population in any great number, however – not in a place that’s so remote, anyway – and the anecdotal reports we heard around town suggest that Masset’s local population is actually declining slightly, or at least remaining stagnant. 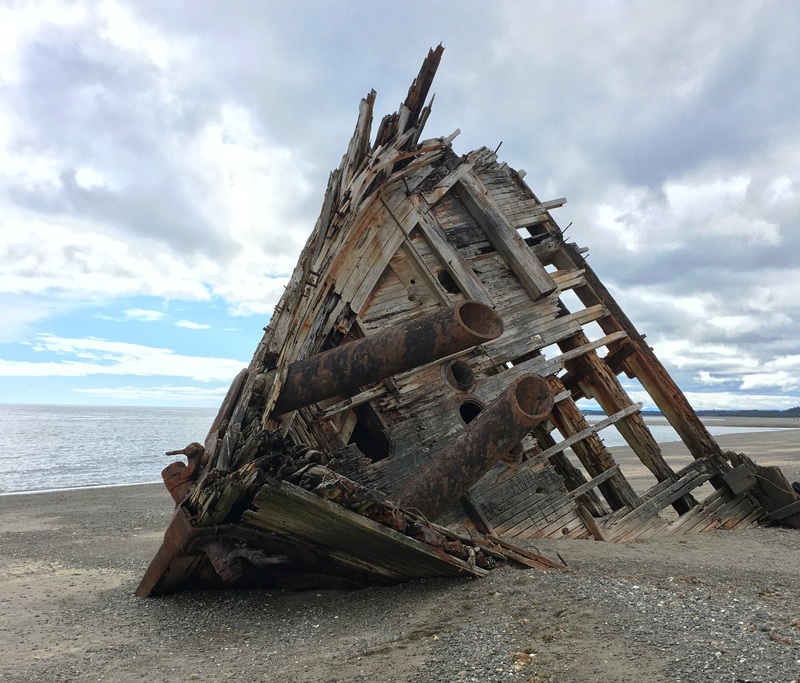 The Pesuta shipwreck on Graham Island, an apt visual metaphor for Haida Gwaii’s commercial fishing industry. There are some small signs of a quiet revolution in Masset, however. While I am extremely hesitant to believe wholesale in the glowingly optimistic reports of any kind of renaissance in Haida Gwaii (or anywhere else, for that matter), we stumbled upon a place that points to a slow but measurable sea change in Haida Gwaii’s food culture: Green Gaia is a bastion of the local, organic ethos that has permeated western culture. Read on to find out how a small group of locals led a major food policy change that was the first of its kind in Canada.